The ship safety division of the BG Verkehr performs all necessary monitoring of ISM implementation on behalf of the German flag. It also deals in depth with all questions of Safety Management System concepts and develops standards and guidelines to strengthen their effectiveness. Its experts are experienced master mariners and chief engineers. They assist shipping companies and recognized organizations (classification societies) in complying effectively and practically with the comprehensive requirements of the ISM-Code, according to uniform principles. 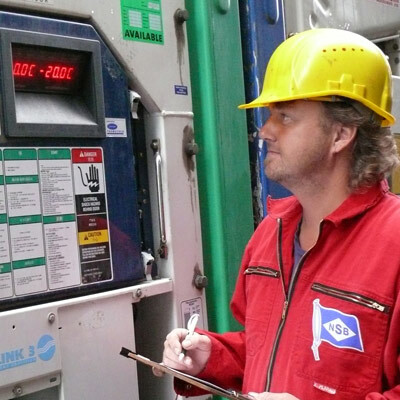 Shipping companies may assign the auditing of their Safety Management System (SMS) to the ship safety division of the BG Verkehr or to a recognized organization (classification society). The ship safety division of the BG Verkehr lends support to companies operating German-flagged ships on which, during a port state control inspection abroad, deficiencies are unreasonably raised. Find out more about help during problems at port state controls.